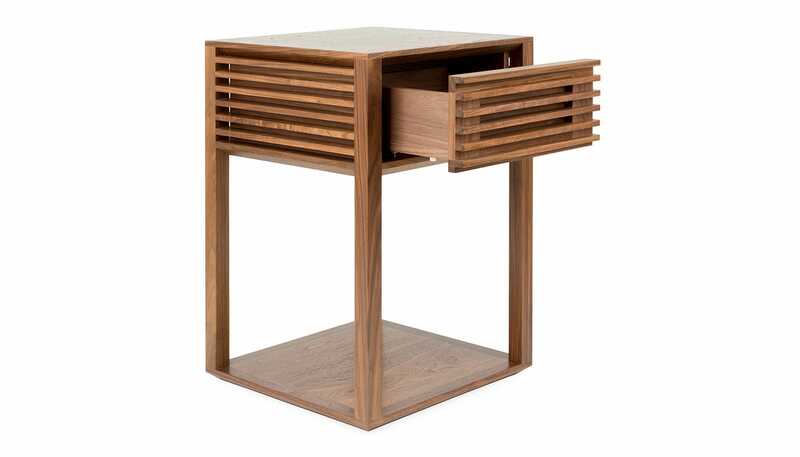 An extension to our best-selling range of furniture, the Verona side table is inspired by sleek, 1960s stereo consoles. 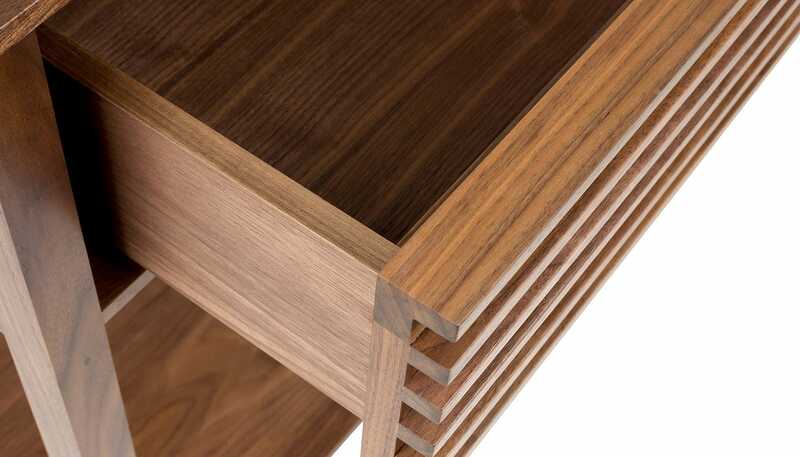 Designed by Nathan Yong exclusively for Heal’s, the geometric frame and louvered panel detail of the Verona is crafted entirely from solid walnut. 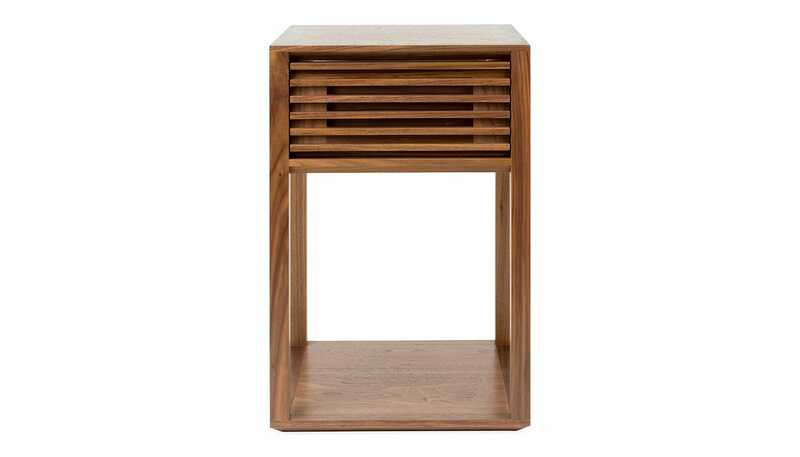 A soft close drawer and floor level shelf make this the ideal side table for a contemporary living room or bedroom. Starting his career in design as a buyer, product developer and independent retailer in Singapore, Nathan Yong developed his knowledge of furniture through his direct exposure to its production and craft. Having sold his business to study a Masters Degree in design, he has since won the prestigious Red Dot Concept Design Award two years running working with some of the worlds most respected brands and publications including Ligne Roset, Monocle and Wallpaper.